A photo showing the underside of the Sutter Creek Bridge. The plans show the columns sitting on spread footings and with the main column reinforcement well-developed into the superstructure. If you look closely you can see polystyrene isolating the column flares from the soffit. The link beams between the columns are designed to fuse during an earthquake. Note the large haunches on the box girders above the piers. This tall structure was built on falsework. 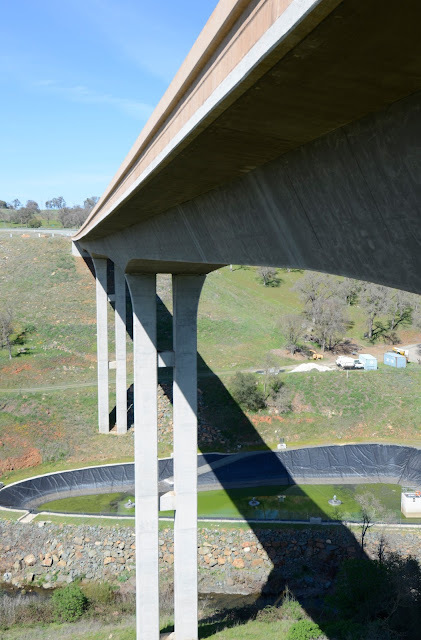 There is a water treatment plant under the bridge and you can barely see Sutter Creek below the sedimentation pond. 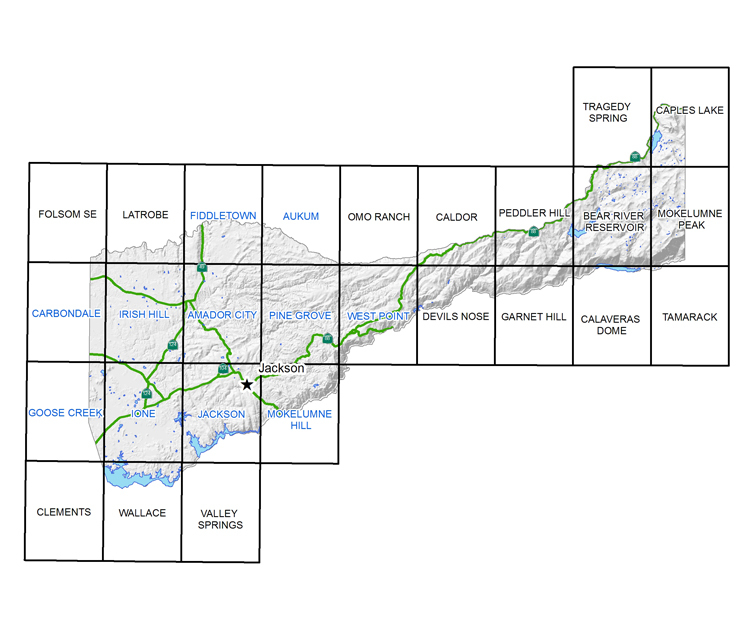 Although Amador County is small (with a population less than 40,000) it is covered by rivers and creeks. Besides the Cosumnes and Mokelumne Rivers on its north and south borders, there is Big Indian Creek, Dry Creek, Amador Creek, Horse Creek, Jackass Creek, Sutter Creek, Mountain Spring Creek, Rock Creek, etc. Consequently, there are a fair number of creek and river crossings. Amador County, California Bridges: State Route 49 across Sutter Creek (2) by Mark Yashinsky is licensed under a Creative Commons Attribution 3.0 Unported License.